Did the Renaissance lead the Protestant Reformation? Without the Renaissance, it is difficult to imagine that the Protestant Reformation could have succeeded in Europe. The Renaissance placed human beings at the center of life and had shown that this world was not just a ‘vale of tears’ but was something that could be meaningful and it was possible for people to live without reference to the divine. The Renaissance or ‘rebirth’ was influenced by the ideas of the ancient past and it drew from Roman and Greek civilization in order to provide a solution to current problems. The Renaissance was a Pan-European phenomenon and changed the mental worldview of the elites in Europe and indeed the emerging middle class across the continent. The cultural movement was to have a profound impression on people’s worldview. The Renaissance produced the Humanists who were a movement of educationalists and scholars; they sought truth and knowledge by re-examining classical texts and the bible. 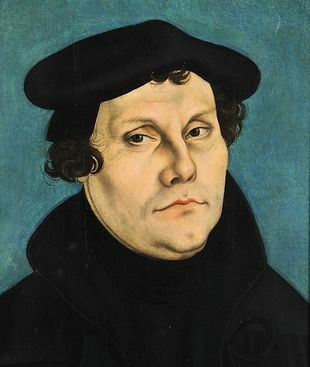 The Humanists ideas, the growth in textual analysis, and the Northern Renaissance changed the intellectual landscape and encouraged many Church reformers, such as Martin Luther, and they later broke with Rome and divided Europe into two confessional camps, Protestantism and Catholicism. The Reformation is the schism that divided the Roman Catholic Church and ended the old unity of Christendom. The origins of the Reformation were in an attempt to reform the Church, there had been many attempts in the past to reform the Church, but they had all failed. By the early sixteenth century there was a growing crescendo of calls for the reform of the Church and an end to the immorality and corruption of the clergy. The Reformation was not an attempt to divide the Roman Catholic Church, but it was an effort to reform it. The failure of the Catholic Church to reform and its attempts to suppress the Reformers meant that it drove many to establish their own churches. The Reformation was an attempt to return to the original teachings and values of the early or ‘Apostolic’ Church. Ultimately, this interpretation meant that the reformers rejected much of the traditional teachings of the Church and resulted in at first a theological dispute between the reformers and the Church, especially in Germany. This dispute led to a full-blown schism in the Catholic Church and the formation of separate Protestant Churches. The causes of the Reformation were manifold, but the Renaissance and the Humanist movement were crucial and indeed decisive. The Renaissance is often seen as a secular and even pagan movement that was in many ways anti-Christian. This view was certainly true Italy, the birthplace of the Renaissance. The humanists were particularly worldly and had little interest in the Church. Several early Italian humanists, such as Petrarch sought to reform the Church, but his successors were largely secular in outlook and their concerns. Many humanists were interested in reforming the Church, but in the main, the Church and religion was not a major preoccupation of the Italian humanists. However, there were many Renaissances, and the movement took different forms in other countries.. The ideas of the Italian Renaissance found their way to the North of Europe at a time when there was a receptive audience for them. The ideas of the Renaissance and the works of classical writers were transmitted throughout northern Europe by the new printing press and led to the Northern Renaissance. The Northern Renaissance is the term given to the cultural flowering, north of the Alps, in German-speaking countries, France, England and elsewhere. The Northern Humanists made the reform of the Church their chief preoccupation. Many German, English and other Northern Humanists saw no contradictions between Christianity and the study of ancient cultures and believed that they could be reconciled. The religious character of the Renaissance north of the Alp was due in part to the continuing influence of the Church, unlike in Italy, where its, was in decline. Despite the often deplorable state of the Church, the general population and even the elite remained very religious. The demand for the reform of the Church was prevalent and was a particular preoccupation of the elite. The desire for Church reform can be seen in the works of major Northern Renaissance figures such as Thomas More or Rabelais, who satirized the abuses in the monasteries, in particular. The Northern Humanists inspired many people to become more strident in their demands for reforms and the end of abuses such as simony and clerical immorality. 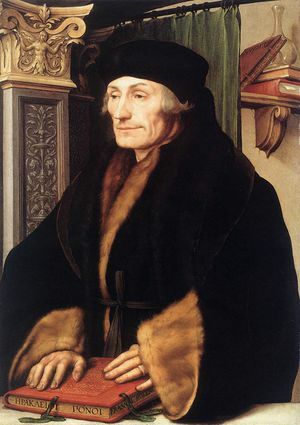 The works of Erasmus were particularly crucial in this regard. In his much admired and widely read book ‘In Praise of Folly’ he lampooned and ridiculed corrupt clerics and immoral monks. The attacks of the Northern humanists on the Church did much to encourage others to see it in the new light, and they became less deferential to the clergy, and this was to lead many of them to support the Reformers when they attempted to end the corruption in the Church. Previously, many people believed that the Church was not capable of reforming itself and simply accepted it. The humanists believed in reasons and the possibility of progress in all aspects of human life. They argued that what was happening at present was not fated to be and could be improved and changed, which was contrary to the medieval view of an unchanging and fixed order. This belief in the possibility of change inspired many people to seek real and meaningful changes in the church, and when they failed to secure these, they sought to create alternative churches. 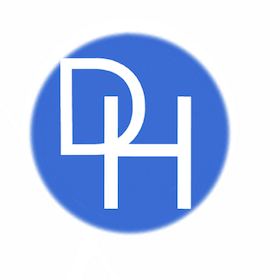 The humanists were intellectuals who were mostly interested in scholarly pursuits. They sought to understand the ancient world, to find answers and knowledge and they studied ancient texts to achieve this. They wanted to go back to the original texts to understand the past and in particular, wanted to remove medieval corruptions and additions to texts. Their cry was ‘Ad Fontas’ in Latin, which is in English ‘to the sources’. They studied the ancient texts and developed textual strategies to understand the great works of the classical past. The Humanists were better able to understand the works of the past after developing ways to analyze texts. The development of textual criticism was not only of academic interest but was to change the way that people came to see the Church and were ultimate to undermine the authority of the Pope. The power of the Church rested on the authority of the Pope and the prelates which was ultimately based on tradition. The humanists employed their textual analysis and techniques to the bible and other works, and they made some astonishing discoveries, and they provided evidence that undermined the claims of the Catholic Church. Ironically, a humanist employed by the Pope was one of the first to discredit the traditional authority of the Papacy in the Renaissance. The Pope was not just a spiritual leader, but he claimed to have real political power. The Pontiffs were masters of the Papal States in central Italy, and many even believed that the monarchs of Europe were subject to their judgment. This was based on the Donation of Constantine, a document from the first Christian Emperor, which purported to show that he had bequeathed his authority to the Popes. This document was used to justify the Pope’s temporal power. An Italian humanist named Lorenzo Valla began to study this document historically, and he found that it was written in a style of Latin that was from the 8th century and long after the death of Constantine. Valla showed that the document was a forgery. This information and other revelations helped to weaken the authority of the Pope and emboldened reformers to challenge the Church. Erasmus did much to discredit the traditional theology of the Church when he discovered that the words in the Catholic Bible about the Trinity (that God has three persons) was not in the earliest versions. Eramus argued that the Catholic Church had added the words to support some statements that had been agreed at a Church Council in the Roman era. Once again, by returning to the sources a medieval corruption was discovered, and old assumptions proved to be false, and this weakened the position of the Catholic Church. The Humanists were not revolutionaries. They were often social conservatives and usually devout Catholics. This can be seen in the case of the great Erasmus and his friend the English statesman and writer Thomas More. However, in their interrogation and examination of texts and their desire to purge them of any medieval corruptions or additions they changed the way that people viewed the Church. 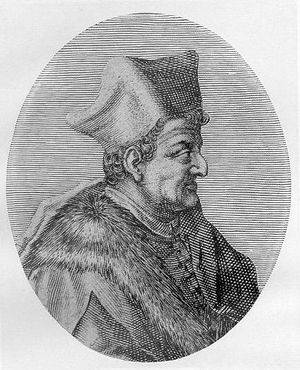 The work of Erasmus and other scholars did much to weaken the Papacy. Their examination of key texts revealed that much of the authority of the Church was built on flimsy foundations. This led many to challenge the power of the Pope. As leader of the Church, he was infallible, and his words on secular and religious issues were to be obeyed without question. After the humanists’ revelations, many of the faithful began to wonder if the Pope. ‘as the heir of St Peter’ was infallible and should he be rendered unquestioned obedience. The reformers under the influence of the Humanists began to examine the Bible, which they saw as the unquestioned Word of God, to find answers. They became less inclined to take the words of the Pope as law and argued that only the Bible was the source of authority. They too like the Humanists decided to go back to the ‘sources’ in this case the Bible. They eventually came to see the Bible as the only source of authority and increasingly began to view the Pope and the Catholic Church as having distorted the message of the Gospels. This belief soon gained widespread currency among many Reformers and those sympathetic to them in Germany and elsewhere. The Renaissance was a cultural flourishing that promoted secular values over religious values. However, in Northern Europe, the ideas of the Renaissance were to take on a religious character. The ideas of the Italian humanists, such as textual analysis, the use of critical thinking and rejecting authority that was not sourced on reliable evidence were taken up by Northern Humanists who applied them to the Church. The Northern Humanists sought to reform the Church and were generally pious men. However, the humanists perhaps unintentionally weakened the Papacy and its theoretical underpinnings. In their examination of key texts and especially the Bible, they exposed many key assumptions as false. This was to lead to a widespread challenge to the idea of Papal Infallibility and the power structure of the Church. The Renaissance also encouraged people to question received wisdom and offered the possibility of change, something that was unthinkable in the middle ages. This encouraged the reformers to tackle abuses in the Church, and this ultimately led to the schism and the end of the old idea of Christendom. Why did the Reformation fail in Renaissance Italy? This page was last edited on 28 January 2019, at 20:08.